Encourages children to develop as confident learners with “growth mindsets”, who learn well with and from others, enjoy challenge and appreciate constructive criticism, understand the learning process, are resilient and recognise that success comes through effort, practice and perseverance. Has the full confidence of parents and carers who work with the school in positive partnership and are involved in decisions affecting their children’s education and learning. We find that one of the most effective ways to encourage children to learn and to behave well in school is through praise and the celebration of their successes. We have fortnightly achievement assemblies in which each class teacher makes a nomination of children who have made an outstanding achievement, in either academic or social terms, within their class. Parents are invited to assemblies to see their children being awarded a certificate. Class assemblies are held fortnightly. They provide an opportunity for children to show what they have been learning about in class and parents are encouraged to come along and join us. The headteacher also awards our “Pakeman Oscars”, given to children who have made a significant effort over time. 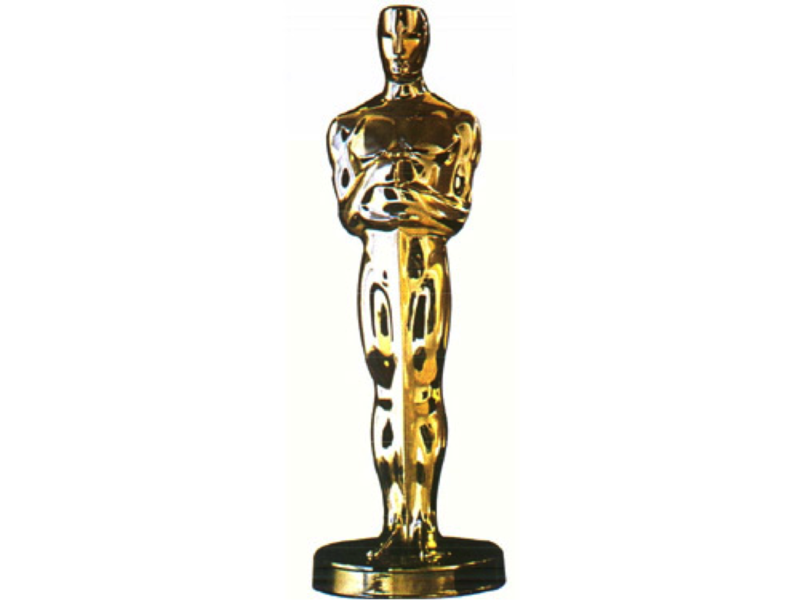 The children’s names are published in the school newsletter, and children take the Oscar home for a week. Children’s successes and achievements are recognised in many other ways at Pakeman. Teachers award stars and stickers, positive points, badges and children are encouraged to share their good work with other teachers and the headteacher. As a result of this emphasis on praise for good conduct and effort, there is a friendly ‘feel good’ atmosphere in the school which visitors frequently comment on. Children are invariably smiling, enthusiastic and eager to learn. These values are taught explicitly through Personal, Social, Health, Economic and Emotional (PSHEE), and Religious Education (RE). 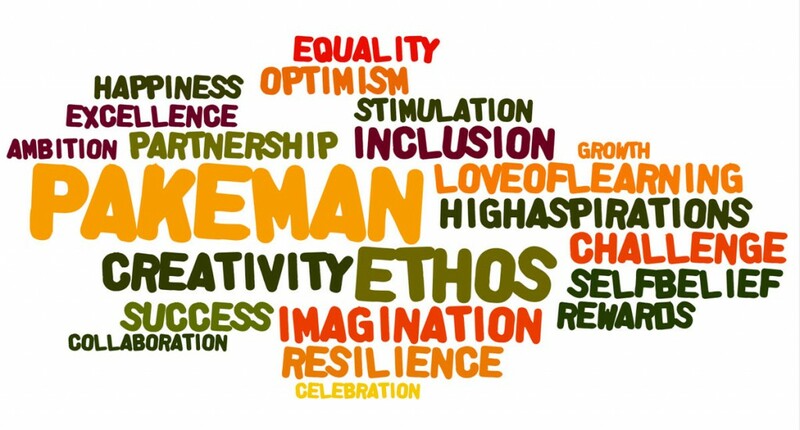 We also teach British values through whole school and key stage assemblies, through our “school ethos” and “Pakeman Promise” and through delivering a broad and balanced curriculum, which includes and promotes these values. The school takes opportunities to actively promote British values through our whole school systems and structures, such as electing school leaders, council members and running a successful, School Council. Actively promoting British values also means challenging pupils, staff and parents to express their opinions, show their understanding of British values through school celebrations, Leading Parent Partnership (LPPA) projects, PTA events and regular feedback surveys during parents’ evenings. Democracy is an important aspect of our school values. Our ‘Pakeman Promise’ promotes collaboration, sharing and asking questions, which empowers the children to make decisions. Our pupils have the opportunity to express their views through the school council (where children are selected by a class vote), pupil interviews and through their weekly Philosophy for Children lessons (Extent to which pupils contribute to the school and wider community – Outstanding OFSTED, November 2011). They also have the opportunity to lead in school through our Pakeman Leaders’ responsibilities. Pakeman Leaders are trained and then collaborate with each other to make decisions. They advise and support other children and visitors in school every day. They also learn about the meaning of democracy in Upper Key Stage 2 as part of our topic on Ancient Greece and exploring different societies. Throughout the school year, the importance of rules is consistently reinforced. Children decide on their class rules in September each year, closely linking them to our ‘Good to be Green rules’. Our ‘Good to be Green’ behaviour system clearly sets out consistency in terms of expectations and agreed appropriate behaviour. Children’s awareness of rules is deepened by our behaviour points system which provides evidence of the school rules, put in place at the beginning of the year, being applied. Class gold stars, Oscars and badges are awarded to children who follow the agreed set of rules in school. Pakeman children also understand the meaning of accountability through our ‘Restorative Justice’ approach. When solving problems and resolving conflicts children discuss the origins of the problem and its consequences, including who has been affected. Children also explore the meaning of law. They are taught about authority figures in their local environment. In EYFS children learn about ‘People who help us’ and in KS1 about ‘The places people go’, ‘How to keep safe’ and ‘Significant people’. Through these topics children learn about the roles and responsibilities of the police, the fire service, lifeguards and the laws they follow. In KS2, children learn about customs laws in ‘Airports’, ‘Rulers and Government’ and stereotypes and prejudice in ‘Making the news’. We also welcome visitors in school as part of our ‘Aspirations’ assemblies, which links to awareness of law, such as a judge and a firefighter. In previous years, some of our pupils have had the opportunity to visit the Houses of Parliament and discussed laws and decision making there. Our children are always encouraged to make choices and speak their minds. Our school environment is safe and supportive and provides children with a place where they can express themselves (Extent to which people feel safe – Outstanding – OFSTED November 2011). In our PHSCE and P4C lessons, children lead their own learning through open discussions and choice of enquiries. They decide their own topic of discussion and express their own feelings and ideas. Pupils are encouraged to make choices every day when choosing what to eat for lunch and in EYFS what play-based learning activity to choose. Children are also encouraged to make choices about extra-curricular activities, project led assemblies and sometimes about the level of challenge in their work during lessons. Freedom is also discussed every year in our ‘Peace week’ assembly. If our children find it difficult to express themselves in discussions, they can also show their personal freedom and expression through song writing, singing in music assemblies and lessons, and art (lessons or art therapy). Our school council is also taking part in the ‘Unicef – Speak out on children’s rights’ project which encourages children to share their understanding of rights and responsibilities. ‘Respect each other’ is a value at the centre of our school ethos. As a multicultural school, we believe that every child is free to believe what they think. At the same time, all Pakeman staff and children show respect for one another and can show admiration and appreciation for others’ achievements, qualities and abilities. Our whole school and key stage assemblies explain to children how to show respect and posters on our staircases promote respect for one another. It is part of our everyday school ethos to care for and respect one another. As a multicultural school, it is part of our school ethos to respect and understand other pupils’ faiths and beliefs. This is achieved through teaching children about world faiths throughout the curriculum and through celebrating special days and festivals from our children’s religious backgrounds and others. Our assemblies celebrate and explain festivals from all religious backgrounds: Islam, Hinduism, Sikhism, Buddhism, Christianity and Judaism. We host a peace assembly every year which is led by a different religious representative each year (the vicar from the local church this year, a Buddhist representative from the Buddhist centre last year and the imam from the local mosque the previous year). This promotes peace between faiths and the consideration of similarities between different religions. Our ‘International Food Evening’ also shows understanding of other people’s beliefs. Parents, children and staff share foods from their countries of origin in school, enjoy each other’s company and celebrate their beliefs and routines. We encourage all of our children to be friends and to understand that while they may have different beliefs they can still share friendship.